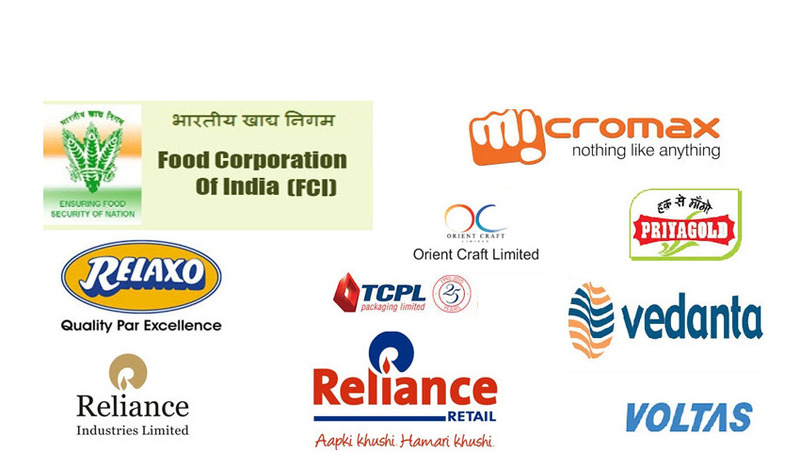 We are leading Manufacturers & Exporters of Floor Conveyors such as Packing Belt Conveyor, Slider Bed Conveyors, Industrial Conveyors, Horizontal Motion Conveyor, Mechanical Conveyors, Manual Roller Conveyors and many more items from India. We manufacture a wide range of conveyors customized for various applications. Our conveyors are customized according belt width, length, conveying profile, conveying capacity and materials of construction. 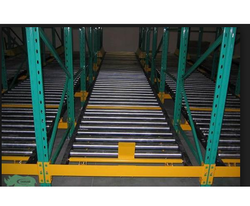 These conveyors can be used for conveying a wide variety of loads such as boxes, cartons, bags, pallets, crates, etc. Various automation solutions can be integrated in the conveyors to form intelligent and integrated solutions for assembly, transfer, packaging, sorting, etc. 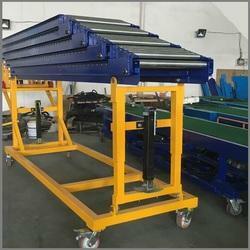 We are a trusted name in the domain of manufacturing and exporting Slider Bed Conveyor. The offered range is used for conveying light weight material, small components, bags and carton boxes. Our conveyors are available with PVC/PU and rubber belts. We manufacture high quality Packing Belt Conveyor which are available in different range options and are well recognized for delivering optimum performance. These are widely used in packing of empty mono cartons / cartons / crates / box at the end of packing line. 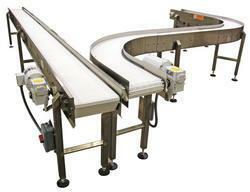 These conveyors can be integrated with completely automatic/semi-automatic or manual carton sealer & strapping machine. Our Manual Roller Conveyors are well suited for conveying any flat surfaced load. The roller pitch and pipe diameters are custom designed depending on the load and the application. Power free conveying under gravity using height differentials. A wide variety of structure constructions available: MS/SS/Extruded Aluminum sections. We understand that generic mechanical conveyors may not meet your needs. We customize conveyor systems to best suit your applications so as to provide most efficient and reliable conveyor systems that are cost efficient. Our conveyors have rugged design & construction combined with first class workmanship thereby ensuring high quality and reliable equipments. We use best quality bought out parts such as Bonfiglioli geared motors, SKF Bearings, Derco Conveyor belt, TI Diamond Chain, Allen Bradley VFD, Sick/Baluf Sensors and other such items. Please send us all your requirements for all conveyor systems. Our Horizontal Motion Conveyor has gentle, non-impact conveying motion and is low maintenance with high reliability and performance. It provides a unique horizontal differential motion that glides the product down the pan, eliminating breakage problems for fragile foods such as chips, cookies, or cereal.